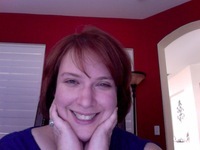 Lisa Gail Green writes paranormal and fantasy. She would most definitely have a werewolf for a pet if she weren't allergic. To ask Lisa Gail Green questions, please sign up. Winging It -- my highly acclaimed Wattpad featured novel -- is now available on Amazon! And to celebrate the kindle version is only 99 cents for a limited time! We’d love your help. Let us know what’s wrong with this preview of Tiffany Sly Lives Here Now by Dana L. Davis. We’d love your help. Let us know what’s wrong with this preview of Pawns by Patrick Hodges. Such wonderful writing! It really does make a difference. Super fun book for any Trekkies out there. Especially Trekkies who also happen to be writers - just sayin'. “I don't mean to be rude—" he began, in a tone that threatened rudeness in every syllable. Kathy wrote: "Thanks for the request!" Sandy Jay wrote: "Hi, Lisa! Thanks for the friend request. :)"
Brigitte wrote: "Lisa wrote: "Brigitte wrote: "Hi Lisa. Thank you for friend in :)"
Pleasure. Sorry just noticed the keyboard correction. Has a mind of its own! Should have checked :'("
Brigitte wrote: "Hi Lisa. Thank you for friend in :)"
Derrolyn wrote: "Hey Lisa! Thanks for friending :)"
Pet wrote: "Thanks for being my friend." Carole wrote: "thanks for connecting"